“A sacred place is where the earth’s voice can be heard more clearly. Go to these places and listen. Skalitude is home to majestic Ponderosa Pine, a family of coyotes, white-tailed deer and occasional black bear. It is heaven for nature enthusiasts, with each season offering its own special gifts. The Meadow Loop – through the meadow and back along the Forest Service Road above the meadow, past several giant trees. Views up and down the canyon, including End mountain, North and South Navarre Peaks and Hoodoo Peak. One hour, moderate terrain. Teddy Bear’s and Seven Sisters – Teddy Bears is a little knoll where animals like to hang out, with a more expansive view of the Sawtooths. You can keep going up to the ridge, to look down on the booming metropolis of Carlton, walk along the ridge through impressive old growth trees, and follow a cow trail back home. To just go to Teddy Bear’s is about 45 minutes up, the whole loop is about 2.5 hours walking time, but allow more time to stop and enjoy the views! Steep in places. 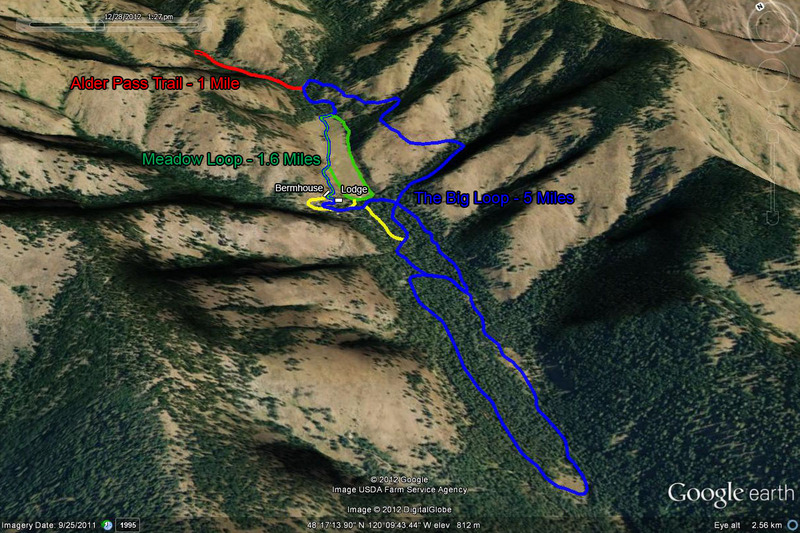 Lookout Mountain – About 2.5 hours up, with 3000 feet elevation gain! Past the biggest tree in the valley, at 5+ feet in diameter. The old lookout tower is still there, the views are unbeatable. A good workout! In winter… professionally groomed cross-country ski trails wind through the property. To ski the full circuit, it takes a decent skier about 2+ hours. 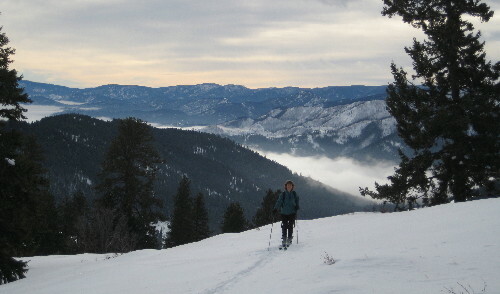 The surrounding hills provide an endless selection of back-country runs. There is an array of sledding possibilities, we can also arrange for cross-country ski lessons and naturalist tours. 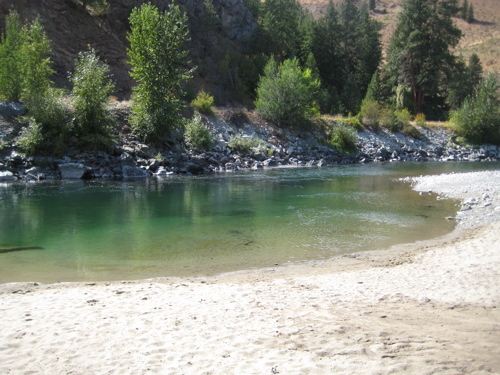 In the summer… some of the Methow’s most popular swimming holes are just down the road. Experience the crystal-clear waters of the Methow River at the Carlton Beach, or try Black Pine Lake, a tranquil mountain lake with impressive views of Hoodoo Peak and Raven Ridge. The lower reaches of the Methow River offer an exciting white-water rafting trip. The clear skies, dry air and low light pollution make the stargazing from Skalitude some of the best you’ll find. 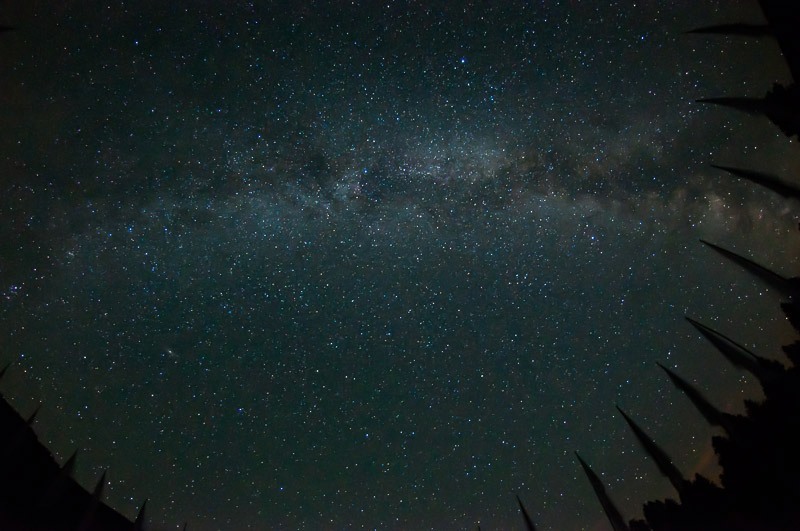 The meteor showers in the summer and fall are most exciting, but the view of the Milky Way on any evening is inspiring. 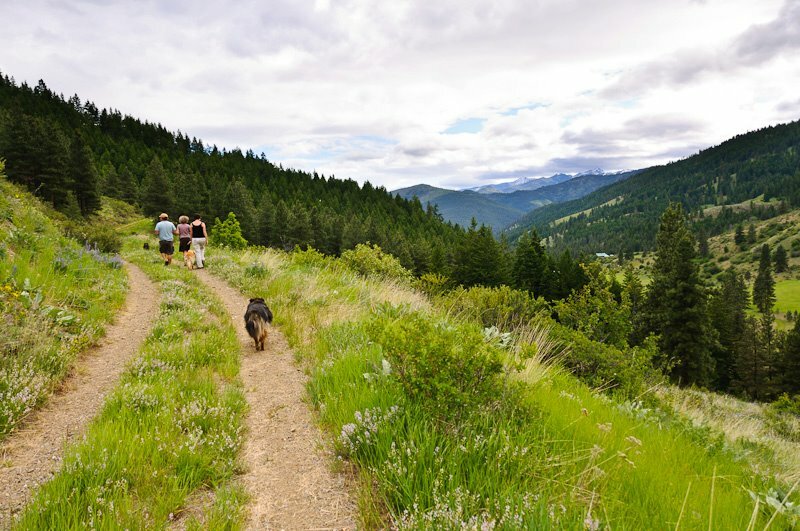 Further afield, the Methow Valley as a whole presents even more opportunities for hiking, downhill and cross-country skiing, fine dining, and other cultural activities. A farmer’s market, art gallery, and professional theater are all available in the nearby town of Twisp, while the town of Winthrop offers more art and shopping. All against the stunning backdrop of the North Cascade mountains!